These soft non woven fabric growing containers allow more air to reach the growing medium and roots, improving drainage and keeping the root system from overheating on hot days. Plant roots also benefit from their natural tendency to grow into soft surfaces, becoming thick and healthy instead of circling the inside of the pot and becoming root-bound. 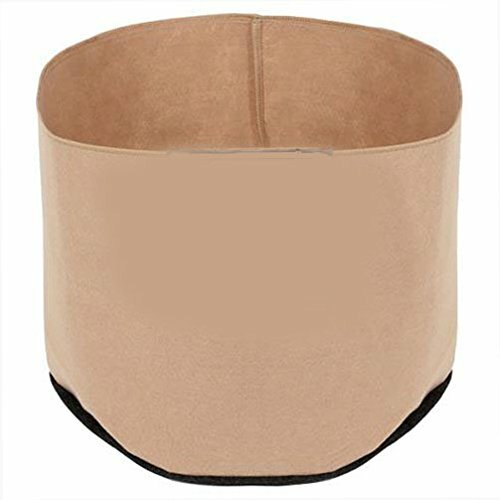 These pots are aeration containers allowing the air to prune the plant root structure.These fabric pots are made from 220 gram weight material for great durability at an economic price. Simply remove the containers before transplanting. These pots will help plants become established more quickly after transplanting. If you have any questions about this product by Essential Pot, contact us by completing and submitting the form below. If you are looking for a specif part number, please include it with your message.